Looking at the multiple audiences that brands must address, this master's degree covers the core subjects of strategic brand management, stakeholder communication and theories, brand analytics, and e-marketing and digital strategies across fields as diverse as city, region and nation branding, corporate and organisational branding and innovation-driven marketing. Why study MA Strategic Branding and Stakeholder Communication with Integrated Placement (15 months/24 months) at Middlesex University? An in-depth immersion in multiple facets of branding, including areas such as strategic brand-building and digital marketing, is facilitated by a team of academics who are experts in the field of branding. The course is designed for students who have just completed an undergraduate degree and who wish to specialise in branding, as well as professionals currently working in marketing, who want to further their careers in the industry. 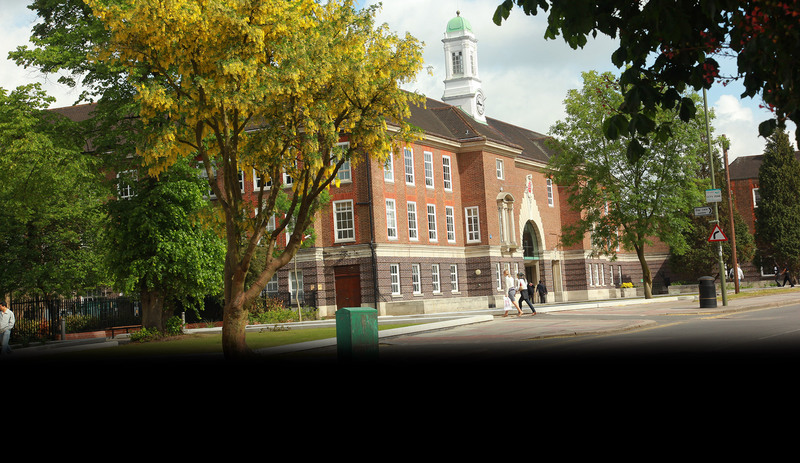 Being situated in London means you will be in a city that is a global hub for the branding, advertising and design industries, as well as learning in a highly cosmopolitan and diverse campus environment here at Middlesex. You will be studying with other like-minded marketing professionals and recent marketing graduates, helping you to develop a professional network and enhance the skills and knowledge required for a branding role whether client-side or agency-side. What will you study on the MA Strategic Branding and Stakeholder Communication with Integrated Placement (15 months/24 months)? The course begins by providing the core subjects of branding, focusing on strategy, stakeholders and communication, so as to embed a core understanding of the field. With this core knowledge you will progress onto two compulsory modules into the essential topics of analytics and digital, as well as two further optional modules which allow you to extend your understanding in areas of particular interest. Finally you will complete a dissertation project on a topic of interest that you select. The aim of the module is to equip students with the key skills required for the strategic management of brands. The module introduces students to the core concepts of branding and provides a wide range of analytical tools and frameworks for the analysis of brands. The module aims to equip students with the key skills for understanding the complexities involved in stakeholder and communication theories. It introduces students to issues such as strategic planning and campaign management, research and measurement, media relations and employee communication. The module provides a critical context in which to analyse current developments in stakeholder and communication theories. The aim of this module is to develop students' systematic knowledge and skills for understanding the complexity of the new digital landscape. The module provides a critical context in which to analyse the current digital developments in E-marketing. In particular, the module will facilitate students’ learning of e-marketing models, social media and e-tailing in order to produce a coherent digital marketing strategy. You will gain a solid grounding in the theory and practice of Public Relations and develop intellectual abilities, skills and knowledge needed to strategically manage the reputation of brands and organisations, add value to your commercial success and support your goals. You will examine the most effective use of PR tools such as media relations when looking at managing public perceptions during moments of organisational or individual crisis; as well as develop specific skills of storytelling and writing for media across traditional and digital media channels. You will then explore the wider cultural and societal landscape in which PR operates, touching on areas such as celebrity, power and the impact of globalisation. The content will build upon the knowledge and skills from core modules and will appeal to those seeking to explore opportunities of employment within PR and communications related organisations. The module aims to equip students with to equip students with the key skills for managing corporate and organisational brands. It introduces students to the concepts and practice of corporate branding in a wide range of geographic and industry settings whilst providing a critical context in which to apply different research approaches to corporate and organisational branding, such as case studies, focus groups, and expert interviews. The module further introduces students to the related issues of corporate identity, corporate reputation and brand heritage. The aim of this module is to develop students' systematic knowledge and skills in the subject of innovation theory for marketing. In particular, the module will introduce students to issues such as strategic planning and innovation management, dynamic capabilities, market-driven and market driving, and will equip students with the key skills for taking a visionary approach and embedding innovation to deal with the challenges of the a fast moving marketplace, to produce a coherent marketing strategy embedding innovation and achieve a consistent innovation narrative. The ability to communicate in culturally diverse settings has become a key prerequisite of successful global brands. Although there is a worldwide convergence of technology, media and financial systems, globalisation has not consistently produced globally uniform consumers; global brands often encounter unfamiliar challenges in specific regions or parts of the world. This module examines the discipline of cross-cultural communications in relation to global marketing. It is concerned with the development, implementation and evaluation of marketing communication activities across a diverse range of cultural settings. You will consider how cultural values influence, and can be reflected in, global communication programs. Message creation, execution and the available vehicles of message distribution will be evaluated across different cultural contexts. Through exposure to a wide range of real-life examples, you will be able to design comprehensive communication solutions to boost brand shares globally. How is the MA Strategic Branding and Stakeholder Communication with Integrated Placement (15 months/24 months) taught? Teaching is delivered through a combination of lectures, seminars, and guest speakers to both enhance knowledge and encourage engagement with topics through discussion with academics and peers. Learning is also supported by online material and you will also engage in self-directed study. You will receive feedback on your work and modes of assessment will primarily focus on individual and group coursework, as well as your dissertation project. We also consider applicants without a degree who have a minimum of three years managerial experience in sales or marketing. How can an MA Strategic Branding and Stakeholder Communication with Integrated Placement (15 months/24 months) support your career? Career prospects for graduates of this course are varied and include roles that will set you on the pat to managerial positions in branding, advertising, and marketing communications roles.